Gather around, children, while I tell you a little story about Halloweens back when I was your age, waaaayyyy back in the 1970s. Ah, those were the days! Children wore costumes their mothers made from scratch and store-bought costumes were much less stripper-like, (and much more flammable.) This period also marked the final years when it was acceptable, nay, encouraged, to raise awareness to the plight of the homeless by dressing up as a Hobo for the night. 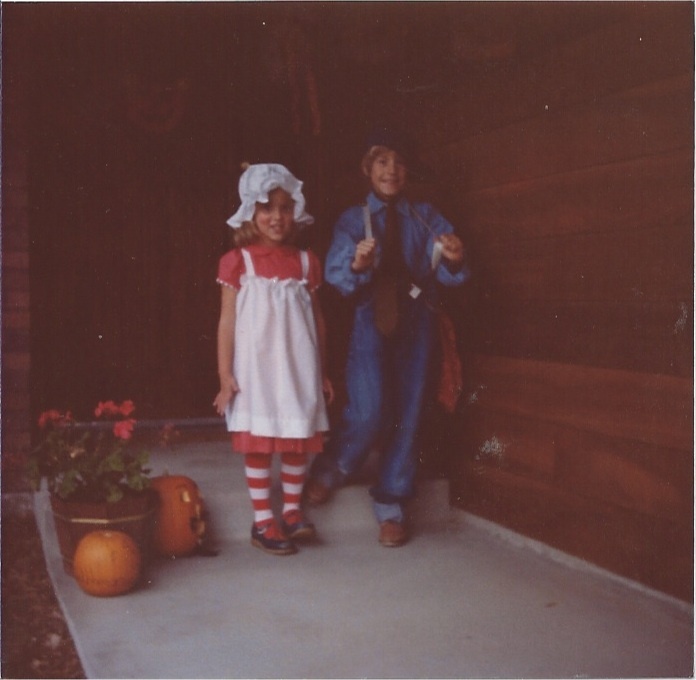 Which brings me to Exhibit A, featuring my brother, the Hobo and me as Raggedy Anne. 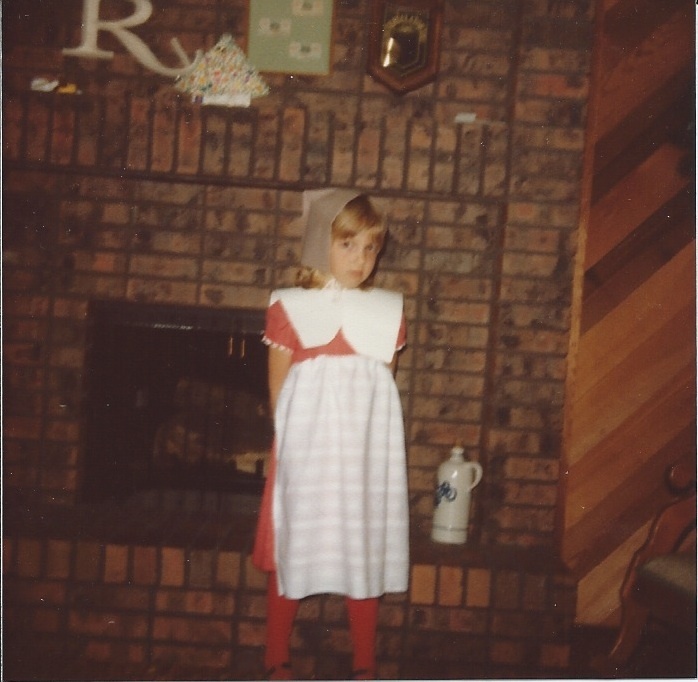 My mom made the hat and the apron and of course there’s the cute little red dress underneath. Look how sweet we are posing out in front of our house in Idaho. 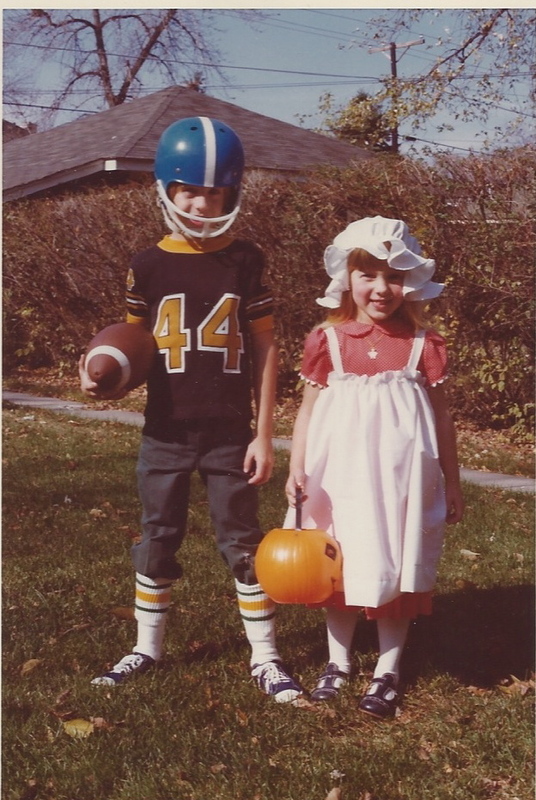 Oh, here’s another picture from that Halloween…..Wait a minute….My hair is much longer and now my brother’s a football player. And I believe that picture is taken at our house in Chicago. It appears that my mom pulled the ol’ “no one from Idaho will know you wore that costume for Halloween in Chicago last year” move. But wait, I think I remember that dress from somewhere else. Ah yes, here it is…..Except it’s floor length instead of knee length. 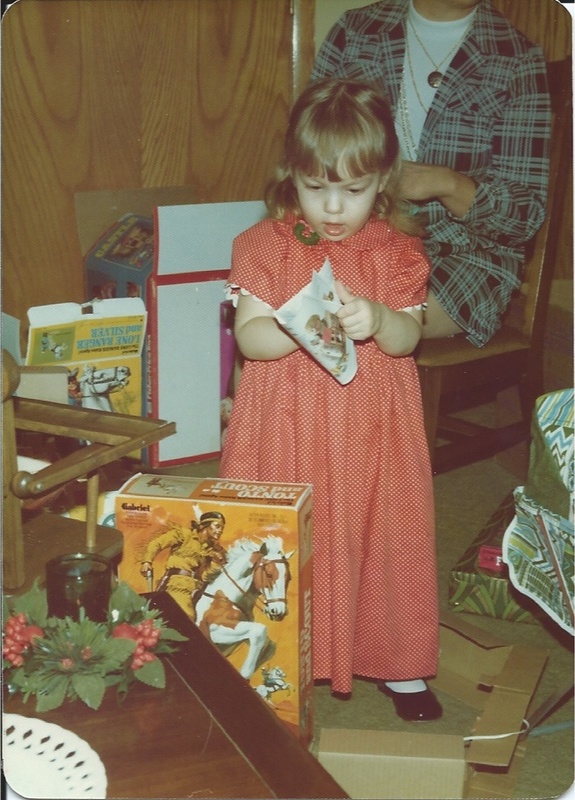 And why do I have that look of extreme surprise on my face? You’re going to wear that dress for every holiday until you hit puberty. Here it is again! It’s back in Idaho now, but this time it appears to be on a really shy/mad/ashamed pilgrim. 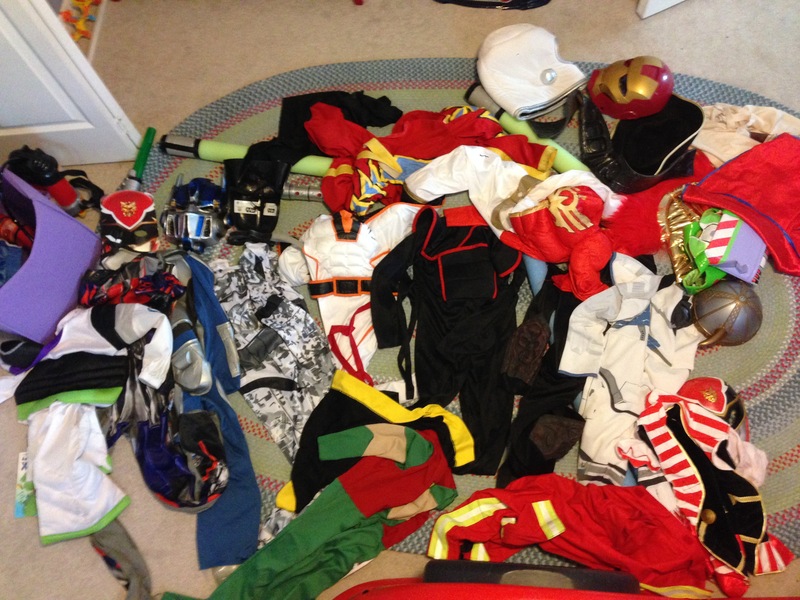 So, my dear children, please know that you will get no sympathy from your 2x Raggedy Anne/Pilgrim mother when you complain about not having a Halloween costume yet when your bedroom floor looks like this. 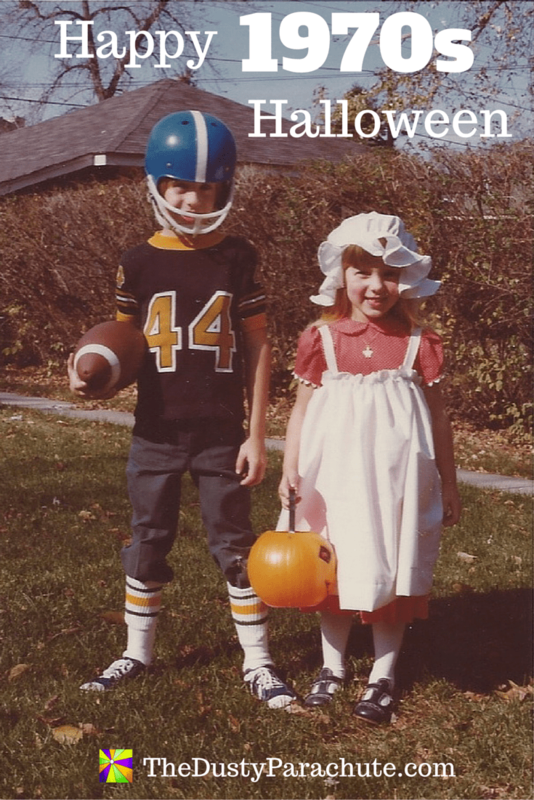 For more Halloween fun, be sure to read about the time I had a 3 hour text conversation about pumpkins with someone who I thought was my father in law. 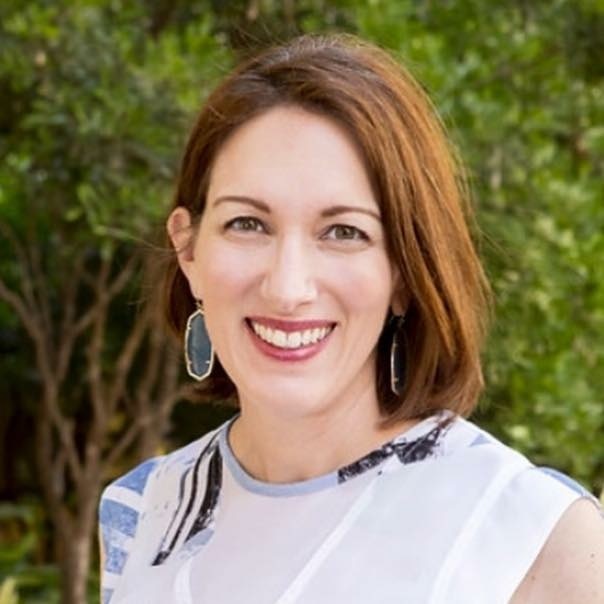 Once upon a time, Susanne Kerns was a Senior Account Director at an advertising agency working for two of the top brands in the world. Nine years ago she traded in her corporate life for a life as a stay at home mom, raising two of the best kids in the world. 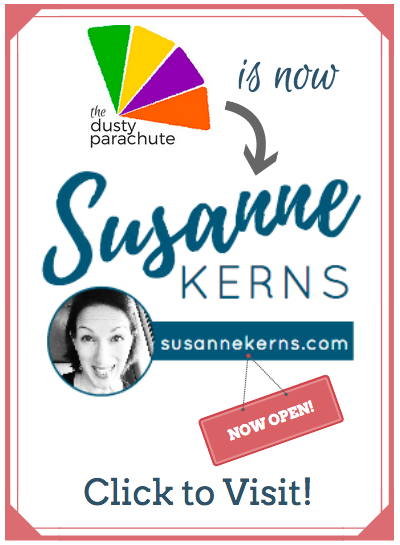 She started her blog, The Dusty Parachute as a way to dust off her online advertising skills and begin her job search. Instead, she now uses it as a way to spend lots of time on the computer so her kids think that mommy has a job. 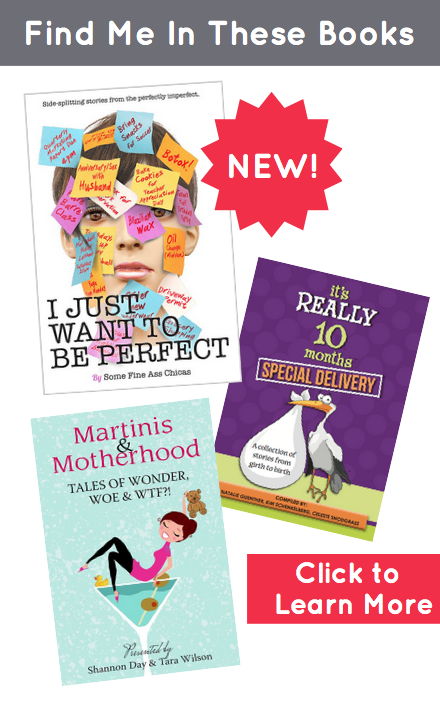 Susanne’s essays have been featured in Scary Mommy, BonBon Break and Redbook and she is also a contributor in the books, It’s Really 10 Months, Special Delivery and Martinis & Motherhood – Tales of Wonder Woe & WTF?! You can follow her on Facebook, Instagram and Twitter. 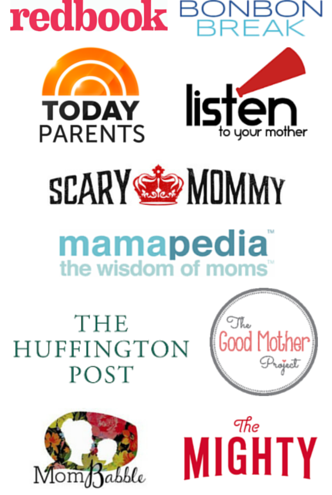 I’m so glad I’m not the only one with a resourceful mom! I ended up going with a picture of me in a clown costume for my Throwback Thursday picture, saying that I doubt my mom could have repurposed that as a Christmas dress, but this morning she sent me a picture of my brother in the same clown costume from 3 years before! (I decided not to post out of respect for my brother and the excessive amount of rouge my mom had used on him in the costume).